My favorite kind of cookie is Oatmeal Chocolate Chip Cookies. Would you ever think of putting chickpeas in cookies? Nope, neither would I until I started investigating healthy recipes with chickpeas and how to make them so they are still delicious cookies. 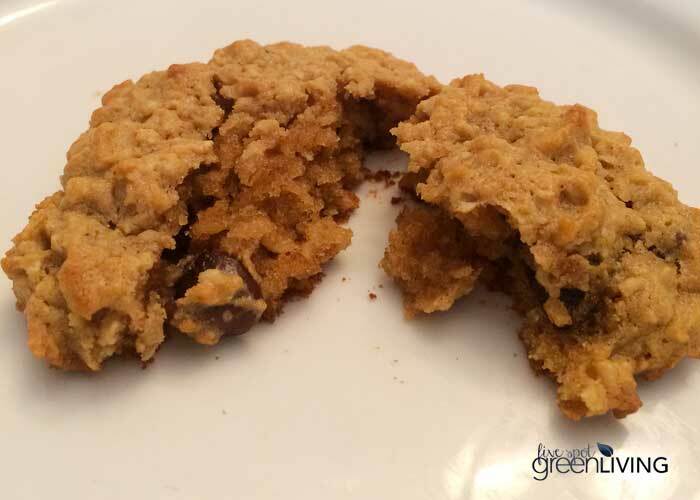 Check out these amazingly delicious Oatmeal Chickpea Chocolate Chip Cookies! 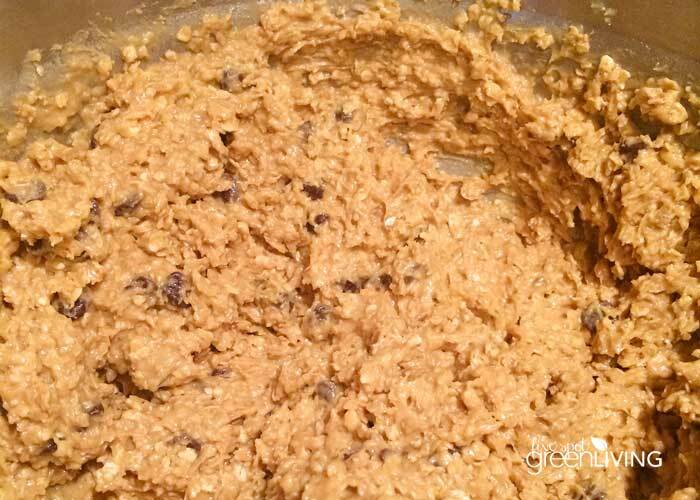 I always used to make basic monster cookies using plain oatmeal but there is a LOT of sugar in those cookies! Gluten free cookies, yes, but sugar-free they are not. So I started experimenting. I like to use honey where I can, but when you are making cookies, honey tends to make them soft and fall apart. So these still have white sugar, but I was able to cut it in half from the original monster cookie recipe. Of course, when I made these, I didn’t tell my family what was in them! I told my sister-in-law who promptly said – EW! But seriously, you have to try them before you can say that. Chickpeas have a hint of nuttiness, but other than that, you can’t even tell they are keeping the oatmeal company. Because of the high fiber content, diabetics may have improved blood sugar, lipids and insulin levels. Chickpeas contain iron, phosphate, calcium, magnesium, manganese, zinc and vitamin K that contribute to building and maintaining bone structure and strength. Chickpeas support heart health because of their high fiber, potassium, vitamin C and vitamin B-6 content and lack of cholesterol. 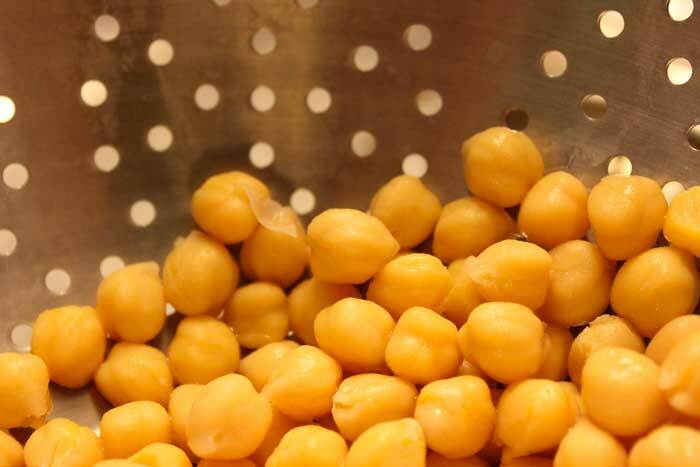 Chickpeas lower the amount of low-density lipoprotein (LDL) cholesterol in the blood. Choline helps with sleep, muscle movement, learning and memory and helps maintain the structure of cellular membranes and reduces chronic inflammation. Chickpeas are so high in fiber they help to prevent constipation and promote regularity for a healthy digestive tract. 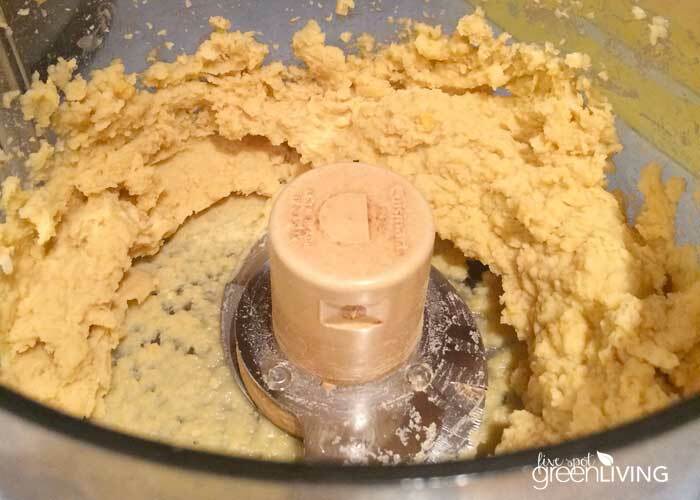 When you are making your cookies with chickpeas, you want to grind them up in a food processor so they they are smooth like peanut butter. If you are using previously dried chickpeas, make sure you soak them overnight and then boil them properly so they can be ground. When you are combining all of the ingredients, the mixure will seem a bit “wet” but I assure you this is normal. The chickpeas help bind the cookies and they are super moist but not limp. They are cakey-cookies, I guess! The cookies will come out this like. Don’t they look delish? I say I make them for the kids, but I eat way too many of them. They are just yummy. So very yummy. Put chickpeas in a food processor or blender and blend until smooth or the consistency of peanut butter. If not smooth, it will resemble nuts in the cookies, so it’s your own preference. Cream butter and sugar together and add honey. Then add chickpeas, peanut butter and vanilla. In a separate bowl, combine the salt, baking soda and oatmeal. Add to the chickpea mixture. Stir in chocolate chips and then scoop onto baking pans. Bake for 8-10 minutes at 350 degrees. Do not overbake. Let stand for about 3 minutes before transferring to wire racks to cool. What do you think? Would you try chickpeas in your cookies for some extra health benefits? Linking up to Hit Me With Your Best Shot! My sister in law would love these she is gluten free 100% . 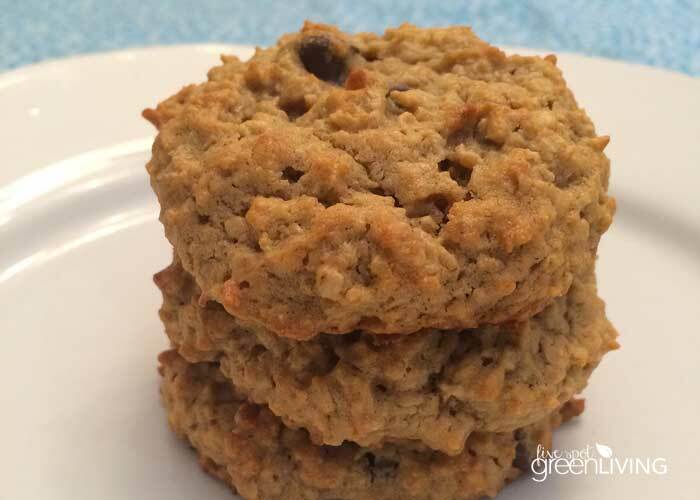 I love chickpeas and never knew you could use them in cookies. Pinned for later. Thanks for sharing your easy recipe. This is something I can make. Btw, I discovered your blog via Learn to Blog. They look delicious, and I like the idea of using chickpeas instead of nuts. I wonder if there is something I could use instead of peanut butter? Maybe I’m missing it, but what temp are they to be baked at? Oops! Do it at 350 degrees. There isn’t honey in the ingredient list, but it is in the instructions, how much honey is used? These are great. Used a cup of date purée Instead of sugar and added raisins instead of chocolate chips. Thanks for the recipe. Mine aren’t melting down in the oven! I had to push them down! Would adding Splenda instead of sugar or honey make a difference? Will have to give these a try. I love sneaking healthy stuff into food items that they would not normally be in. My kids have reaped the benefits and have been none the wiser. These are great cookies that we will really enjoy! Thanks so much for sharing your post with us at Full Plate Thursday and come back soon! 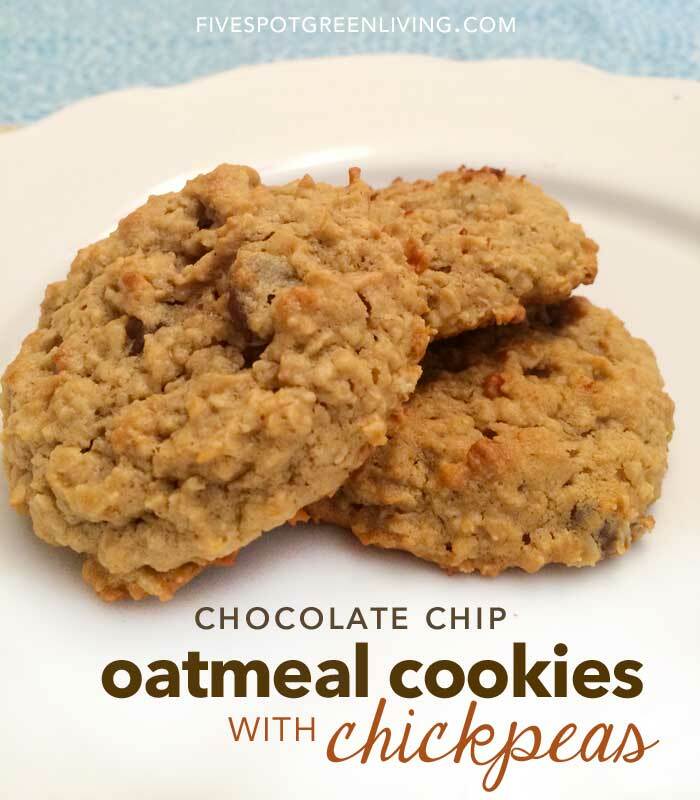 What a fabulous new twist on the standard oatmeal chocolate chip cookie recipe! In a million years I never would have thought of adding chickpeas to cookies, but hey – it absolutely worked and it was so delicious! I felt much less guilt grubbing down on two yummy oatmeal cookies back to back just knowing they contained healthy ingredients. The only thing I did differently was upping the amount of vanilla to a full teaspoon. Yum! I will admit I was totally skeptical about this one but the chickpeas are definitely the secret sauce! It will just be our secret, though…my kids could flip if they knew there were chickpeas in their cookies. I will be making this one again, though, and everyone gobbled them up! What a GENIUS way to sneak chickpeas into my kid’s diet! They never knew the chickpeas were there. Yummy too! This was the perfect recipe for my kids and I’s sweet tooth as kick of healthy eating in the new year. I never knew chick peas could be used in that way but they were simply delicious. They’ve now been added to the Mum you must make these again list for teh family.